Miki Jones dies when she is saving the life of a little girl. Doing the right thing ends up leading her to a alternate plane where with a team of other teens she has to eliminate the Drau, who are aliens. Hold on, I know what you’re thinking. Aliens? Emily are you serious right now, you liked this? And you know what, I more then liked this book. I really liked this book! When I was describing it to people the first thing that kept coming to mind is that Rush is a more YA version of Ender’s Game by Orson Scott Card which I really really liked! Miki Jones was an instantly relatable character despite the fact that we have nothing in common. She is withdrawn because of the loss of her mother, quiet, and obsessed with eating healthy and exercising. We definitely have nothing in common. Despite that Miki got in to my head and I was always rooting for her. 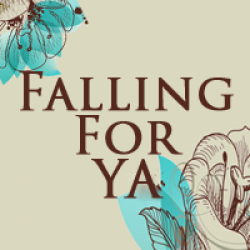 I also appreciated the fact that she is half-Japanese, we need more Asian American’s represented in YA lit! It was fun to have a different cultural perspective with Miki. There was one character who was a total scene stealer and that was Jackson Tate. Jackson is the team leader and he obviously knows more about the ‘game’, which he insists isn’t a game, then he is letting on. I enjoyed trying to ferret out his motives. His character was just the right amount of mysterious while still giving me the answers I so desperately craved in this novel. 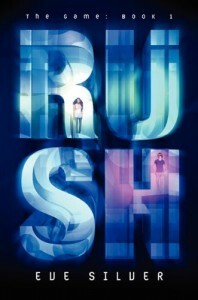 Overall, Rush was a non-stop thrill ride from start to finish that I had trouble putting down! I loved the characters, the world-building, and I can not wait to start the next book. I should warn you though to watch out for the ending of Rush that cliff is a doozy!